Last week, Military Spouse JD Network members from across the United States gathered in Washington D.C. for our flagship event, “Making the Right Moves,” organized by MSJDN Board member Stephanie Crosse and held in the historic Army & Navy Club. 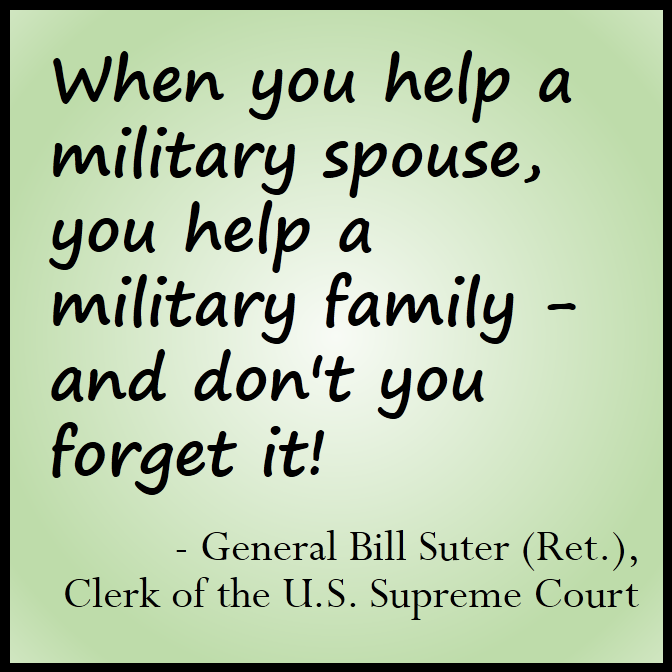 It was a day full of connection and celebration for military spouse attorneys and the D.C. legal and military communities that support us, and served as the launch of the Military Spouse Network Foundation, MSJDN’s new non-profit education and development foundation. The morning session, sponsored by American University Washington College of Law, featured Linda Mercurio from the school’s Lawyer Re-Entry Program. Linda encouraged MSJDNers to think differently about goal-setting, teaching them how to remain both relevant and prepared for their next duty station. “It was great to hear about all the amazing attendees and their ability to adapt their careers to the military lifestyle,” said Libby Jamison, a member who traveled from Florida to attend the event. At a break members received resume reviews by a team from American University and professional head-shots courtesy of MSJDN member Rachel Brenke. (Left to Right) The setup for the educational sessions; event organizer and MSJDN Board Member Stephanie Crosse; Linda Mercurio leads attendees for the morning session; Reda Hicks has her headshot taken by photographer Rachel Brenke. The luncheon was a phenomenal success, well-attended by our Washington D.C. supporters like LTG Dana Chipman, The Judge Advocate General of the Army; RADM Frederick Kenney, Judge Advocate General of the Coast Guard; Deputy Director of ABA Government Affairs COL Holly Cook (Ret. ); USAA Assistant Vice President Jessica Killin; LTC Gary Johnson, Chief of Army JAG Recruiting; Jim Szymalak, Chief of JALS Civilian Personnel Management for the Army; Josephine Harriott, Board Member from the D.C. Women’s Bar Association; and D.C. Bar Association candidate for President-Elect Lorelie Masters. Members in attendance were able to network with these VIPs and learn more about our sponsors and supporters like USAA, the National Military Family Association, Semper Fi Fund, and the ABA Homefront. LTG Dana Chipman and GEN Bill Suter (Ret. ); the crowd gathers before the luncheon begins; COL Holly Cook (Ret.) from the ABA Government Affairs Office, and Donna Huneycutt and Lauren Weiner from Wittenberg Weiner Consulting; MSJDN President Mary Reding greets luncheon attendees. President Mary Reding opened the luncheon by introducing the new Military Spouse JD Foundation. Recognizing that obtaining a license is only half the battle when it comes to career options for our members, MSJDN formed MSJDF to provide education, mentoring and networking opportunities to the MSJDN community. MSJDF currently has an application pending with the IRS to become a 501(c)(3) non-profit, distinct from the Network in scope and purpose. The Foundation presentation was quickly followed by the awards honoring two of our members. Erin Hennessy, intellectual property partner at Bracewell & Giuliani, was awarded the MSJDN Professional Excellence award and Josie Beets, a staunch legal aid and pro bono lawyer currently serving as MSJDN’s Online Content Editor, was awarded the MSJDN Exceptional Service Award. President Mary Reding opens the lunch; attendees gather for discussion over lunch; Josie Beets receives the Exceptional Service Award; Erin Hennessy receives the Professional Excellence Award. Next, attendees heard from the Honorable Ann Kirkpatrick, United States Congresswoman from Arizona and an attorney herself who appreciates what it means to take a bar exam, let alone four or five. Speaking from the podium of the Army & Navy Club, she reminded us that support for Veterans should be directly translatable to military families as well, catching the attention of the entire room when she remarked, “Taking care of Veterans is not a partisan issue; taking care of military families is not a partisan issue.” In April, Congresswoman Kirkpatrick introduced the VA Claims, Operations and Records Efficiency Act (VA CORE), which will provide complete service-treatment records to the Department of Veterans Affairs in an efficient, electronic format. The average veteran waits more than 250 days for a decision on a claim, approximately 175 days of which is attributable to the time required for the DoD to research, gather and physically send paper records to the VA.
Rep. Ann Kirkpatrick addresses the audience; audience members listen; GEN Bill Suter delivers the keynote. 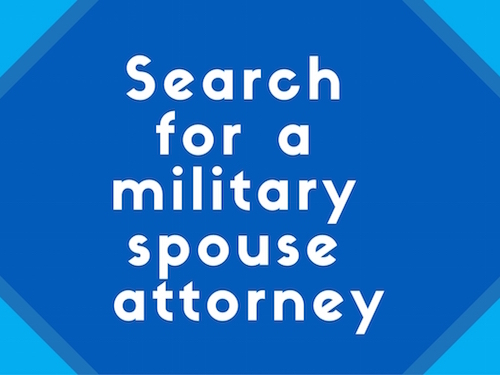 After the luncheon, MSJDN members returned to afternoon sessions about legislative initiatives relevant to military spouse attorneys and how to think creatively about a legal career. Ken Goldsmith from the ABA’s Government Affairs Office and CC Gallagher from the National Military Family Association spoke about legislative initiatives to ease licensing burdens on military spouses and their important work for the future. Both Ken and CC emphasized the immense support out there for military families and stressed their support for MSJDN’s mission. “We view ourselves as a force-multiplier for good work like yours,” added CC Gallagher from NMFA. Next, a diverse group of legal professional talked about how to make the best of your unique situation. The panel explored the different ways you can use your legal background for positions both inside and outside the traditional definition of legal work. The panel included Denika Thomas from legal staffing office Special Counsel, Lauren Kologe from MOAA, Renee Cotton from the MD Coalition of Families for Children’s Mental Health, entrepreneur Rachel Brenke from The Law Tog, and Jim Szymalak, Chief of Civilian Personnel Management for U.S. Army Office of The Judge Advocate General. Attendees closed out the day receiving a special gift from Stella & Dot. MSJDN Vice President Rachel Winkler and Ken Goldsmith from the ABA Government Affairs Office; panel members discuss thinking strategically and creatively about your legal career; some of the goodies for attendees from Stella & Dot. After the last panel of the day, attendees headed to the U.S. Chamber of Commerce for an exclusive networking opportunity with business leaders. U.S. Chamber Chief Operating Officer David Chavern spoke about the Chamber’s unwavering support for military families and its Hiring our Heroes initiative. MSJDN Board Member Laura Dempsey, attorney and military spouse Rebecca Bresnik, and MSJDN President Mary Reding; some of the treats offered by the U.S. Chamber; members network with business leaders; U.S. Chamber COO David Chavern addresses the crowd. MSJDN’s presence made considerable waves throughout Washington, D.C. that week: we made contact with senior government officials to discuss how our attorney members could be of use in government service, personally connected several members to valuable job and networking power brokers that changed their career outlook, were thanked at the Annual Women’s Bar Association of the District of Columbia dinner by outgoing president Laura Possessky in her closing speech to thousands, and were lauded as worthy advocates of support in TJAG LTG Dana Chipman’s graduation address to the Army’s Legal Center and School LLM graduates. These are the very kinds of leadership results we were organized to create for our members. Special thanks and recognition go to the MSJDN Event Team Stephanie Crosse, Christina Zahara Noh, Erin Mitchell Richeson, Rachel Winkler, Josie Beets, Reda Hicks, and Celeste Boyd for transforming this idea into a successful reality. Congratulations! To subscribe to MSJDN’s Newsletter, Bars & Stripes, become a member at our sign up page.